Steak houses - dark with low key lighting. Dark brown and heavy woods. Power chairs. Masculine. Well, that is what BOA is not. 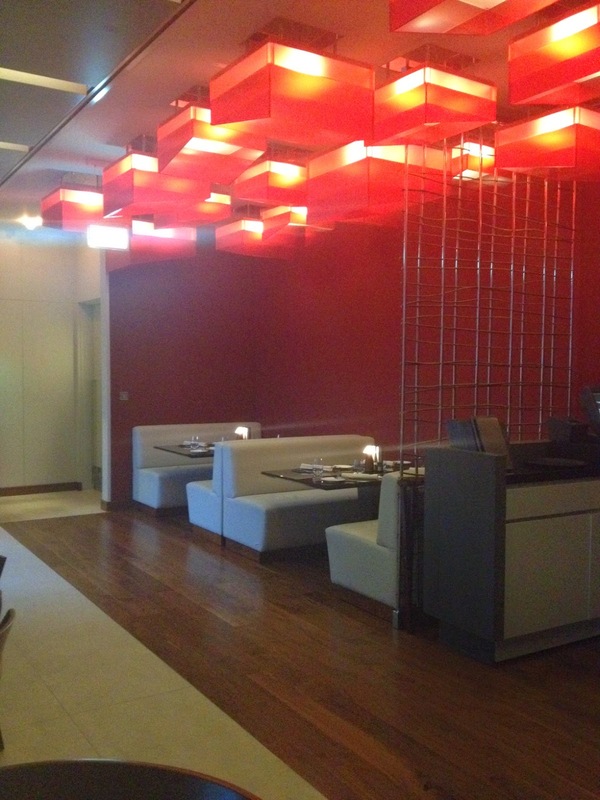 As you walk in, you are greeted by generous splashes of colour with vibrant light shades. It is hard to miss a central light fixture giving off a warm glow of yellow and orange. Shades of dark brown providing your yin if you will, are beautifully balanced by soft and comfortable off-white seats, your yang. Maroon/bordeaux walls in places add to that sense of balance. 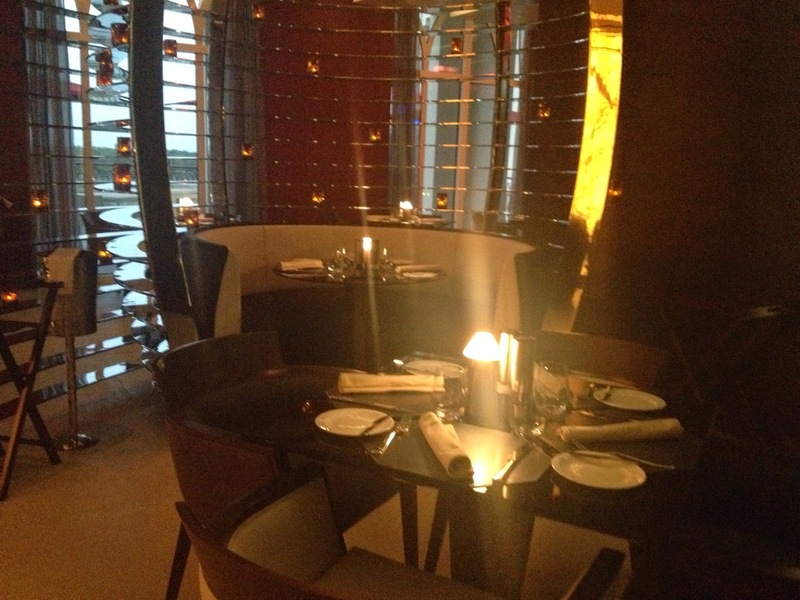 Even the stainless steel ornamentation at one end of the restaurant is given a warmth by some fractured light emanating from crackled glass candle type holders. No, this is no traditional steakhouse. 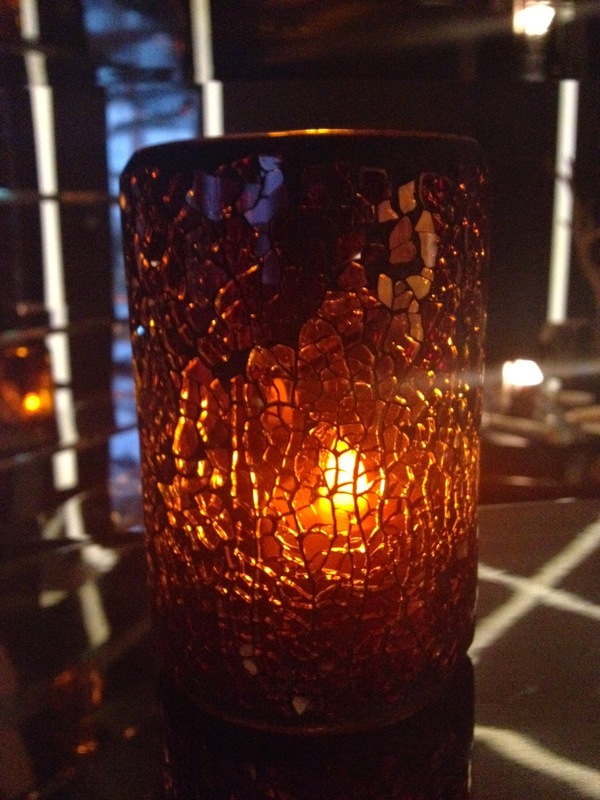 A very special ambience created by a number of elements. After indulging in some small talk in the super cosy and chilling bar area, I am shown to my seat. The specially prepared set menu looks inviting. I am part of a group this night, so sharing platters or small portions will be the order of the evening. A Caesar salad is prepared table side. I like it. Always one for the theatre, I enjoy the showmanship of this as I watch the waitress start with an empty bowl and then adds all the ingredients. 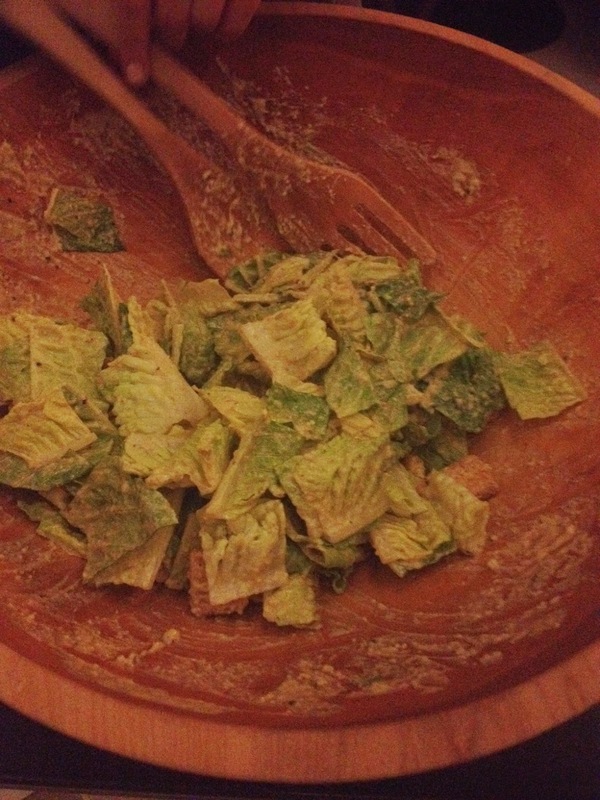 A friend remarked that it was hard to get excited about a Caesar salad. However, having watched it made from scratch, I am excited about it. I can't wait to try it. Crunchy lettuce and a flavourful, complex dressing taste - I like it. We are brought our starters and they look impressive. Aromas waft through the air while I stay transfixed on the starters, not knowing where to begin. A nice problem to have. I smile. There is a fabulous selection of starters. 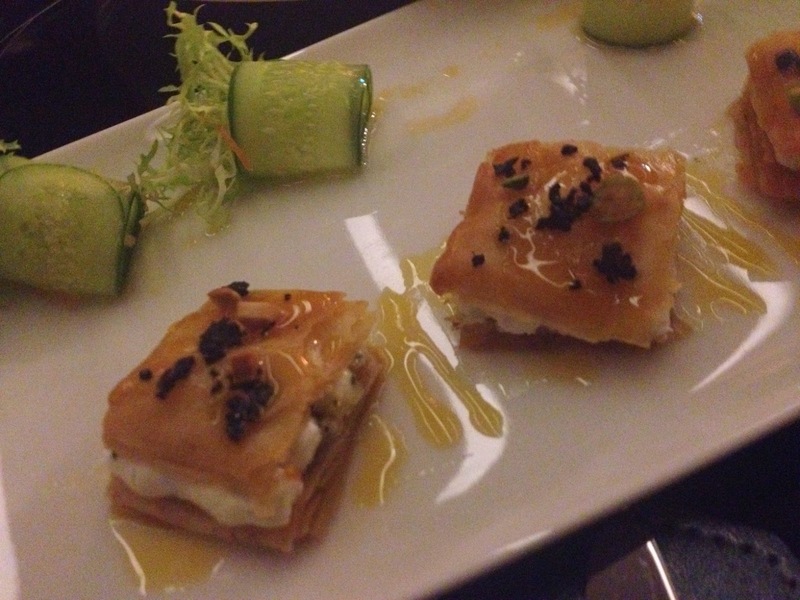 The goat cheese baklava is delicious. The pastry, still crispy, is so enjoyable. Black truffles/ who does not like these? 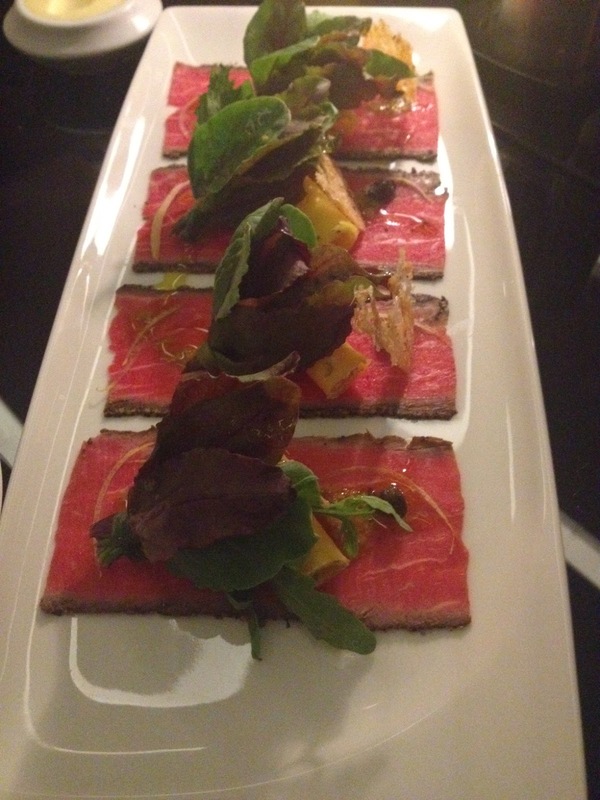 Next I try the pepper crusted beef carpaccio. Lovely touch with the canneloni. Nice. Finally, the heirloom tomatoes with burrata, more than just the effusion of colour on the plate, provide a variation from the normal tomatoes that one gets. The lack of sweetness is actually a welcome change. 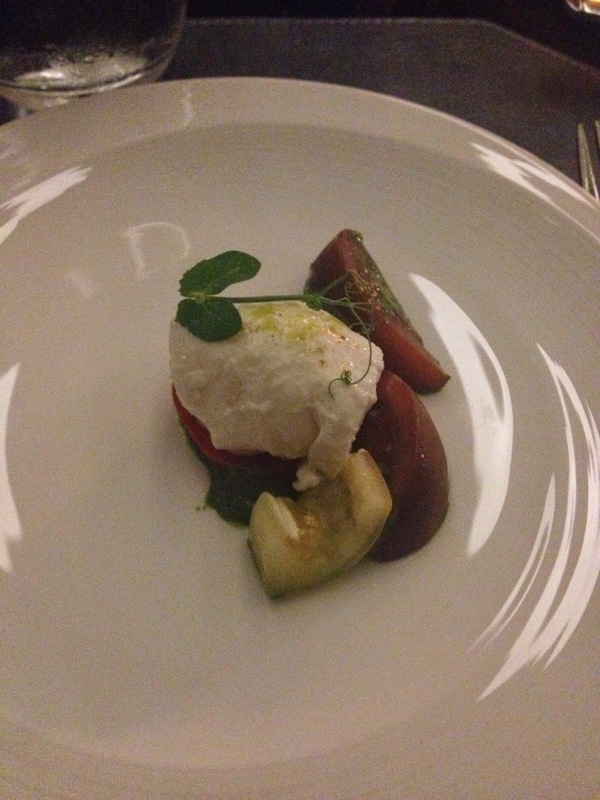 I find the burrata a bit firm though, with the centre not as creamy as I would like. However, the basil yogurt emulsion is smooth and creamy and I end up having a couple of servings. My favourite dish of the evening up to that point. 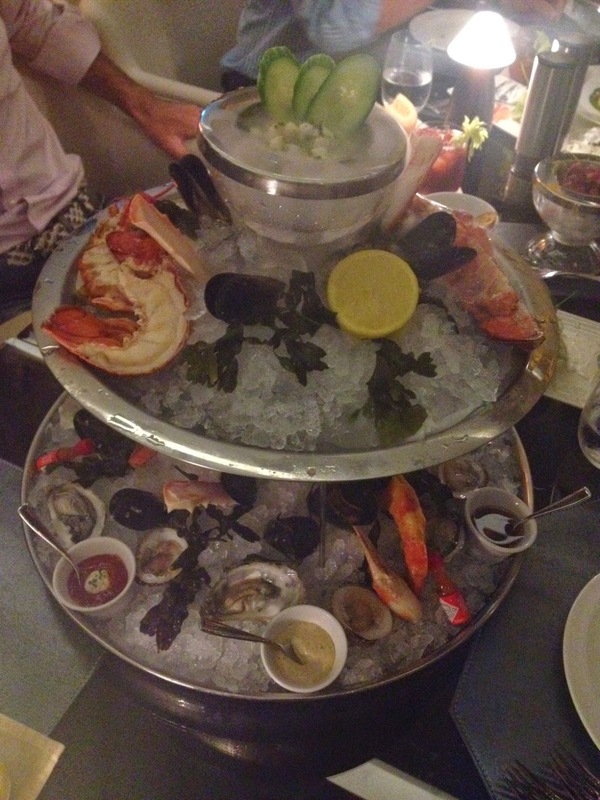 We then have the seafood platter, complete with dry ice for sheer drama. In front of me I see a gorgeously presented two-tier platter. While there are accompanying sauces, I go with lemon. The lobster is perfectly cooked and I love the ease with which I got it out of the shell. Always a good sign. The oyster and mussels too, are well received by those at our table. Overall, it is the well thought out presentation that will stay with me, even though I enjoyed the tastes. It is all about offering something typical in an innovative and creative way, which was achieved. High scores for presentation of the seafood platter. While I await the main course, I have a nagging feeling. I get up and explore the restaurant looking for the source of this unease. Then it hits me - I feel disconnected from the staff. While I had a meaningful exchange with the very charismatic General Manager, David, in which we talked about BOA's launch, his favorite restaurants and where BOA is going, there was very little, if any engagement from waiting staff. 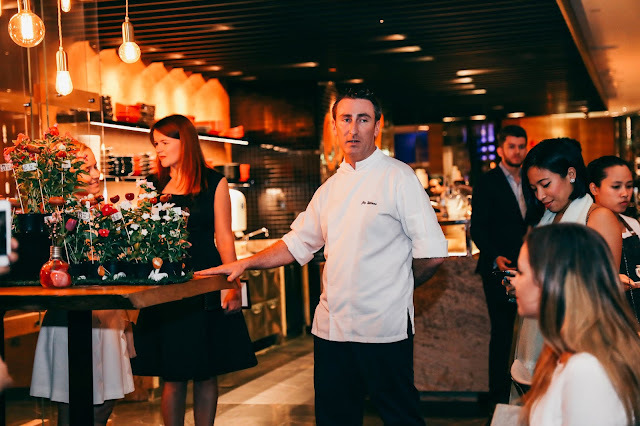 It is a difficult balance to achieve between engaging and stepping back, something David acknowledged, and I am confident that a new restaurant like BOA will address this in time to come. If I can get the same grade of beef and Bordeaux in my glass at three restaurants, why should I choose one over another? Answer - the people. I have written this before - People are more important than ingredients. My reflections are interrupted when the mains are brought. 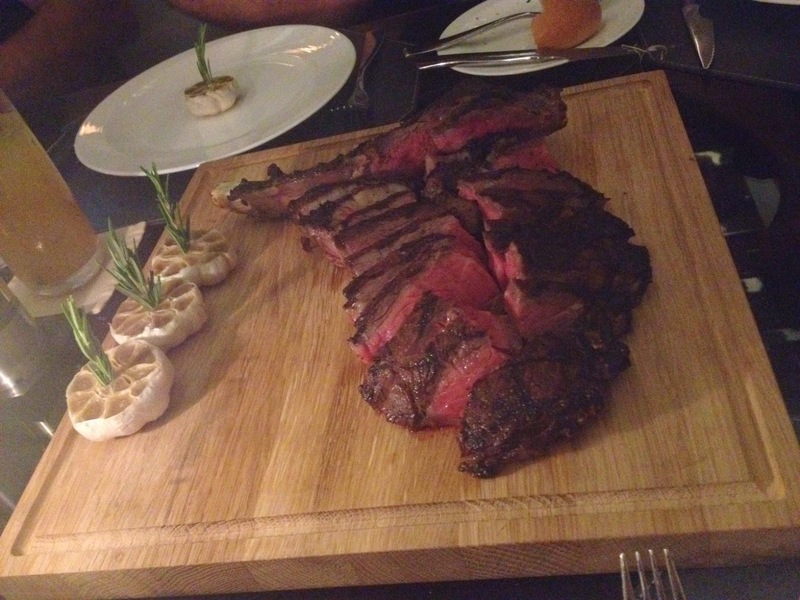 The 28 day dry aged bone-in rib-eye and the 35 day dry aged New York Strip are simply presented on cutting boards, with garlic and a sprig of rosemary on the side. In addition, there are also 6 sauces from which to choose and a selection of sides including truffle cheese fries, sautéed seasonal mushrooms and chipotle lime corn. While I forgo the side dishes, I start with the strip. It is as tender as this cut of beef can be and tastes beefy. 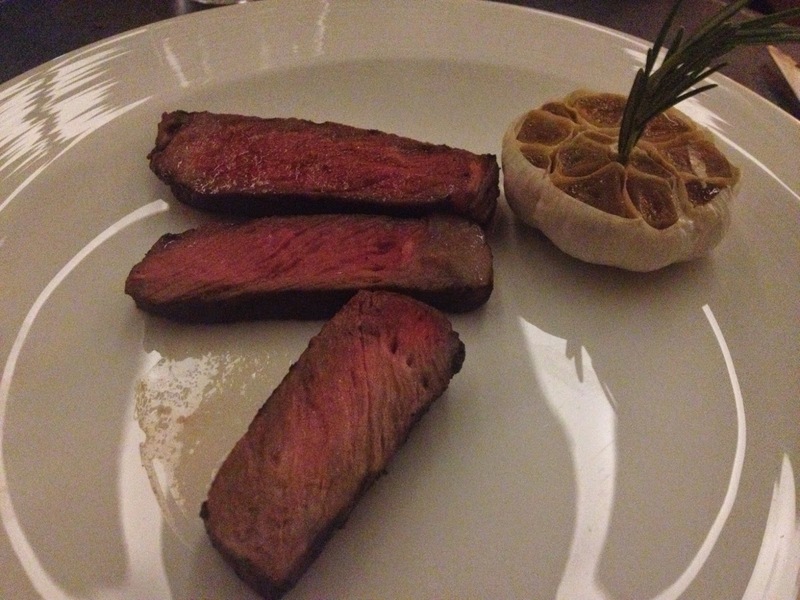 The rib eye, my favourite, just oozes tenderness as evidenced by a deep and rich pink colour. It is much more robust than the strip, and I have, again, a couple of servings. The side dishes, meanwhile, are decimated by the group, a compliment to the chef. This is, though, a steakhouse, and I finish their speciality, beef, with gusto. Finally, dessert is served. I am surprised to see mascarpone is added to the cheesecake because I would have expected a typical New York style cheesecake, but then BOA is not your typical restaurant. The mascarpone makes it so fresh and light. The perfect sized portion means that dessert is an absolute winner for me. 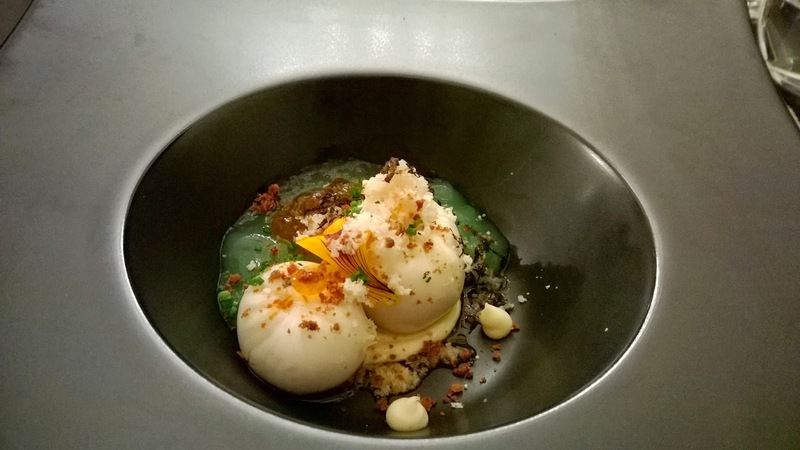 Exceptional setting, gorgeous decor, a creative menu, beautifully cooked dishes and an approach to dining that makes it hard for BOA to placed into any one category, make this a fantastic dining venue. Add to this the sumptuous views of the mangroves, and you feel that BOA Steakhouse will continue and grow to be a favoured destination for people. The matter of service that is efficient and incredibly professional but is lacking in soul, is something I am sure will be addressed. I am excited about my next visit in September. 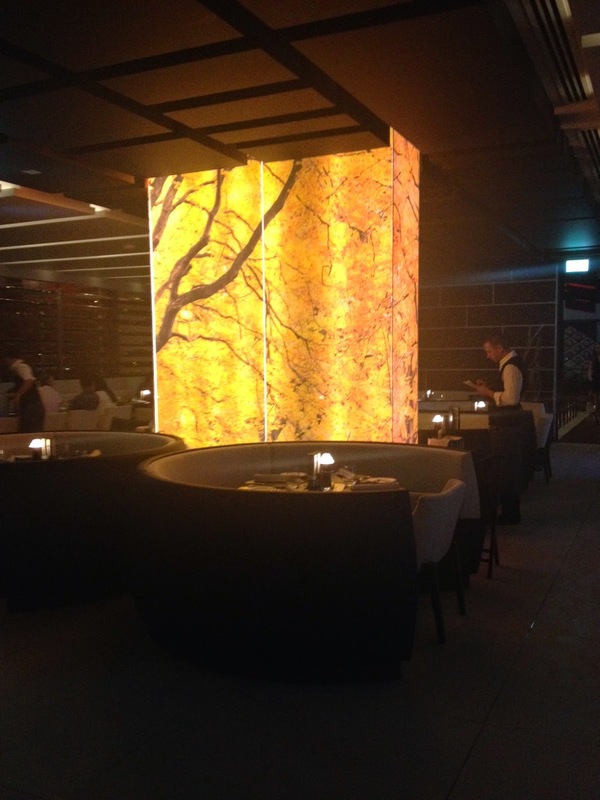 Restaurants like this make one feel that Abu Dhabi genuinely has so much going for itself from a culinary perspective!